Imagine o encontro entre Radiohead, Vangelis e Pink Floyd. Esse híbrido sonoro, é basicamente o que pode servir de orientação para entender o duo italiano Gleam. A audição de seu recente trabalho, "Zeroland (Part I)", é uma viagem freak que por muitas vezes são evocados as referências citadas no início. Pode parecer de certa maneira ousado e principalmente soa esquisito ao início, mas conforme o Zeroland vai rolando tudo começa a fazer pleno sentido. O Gleam conseguiu fazer a proeza de transformar o prog rock em indie rock, altamente interessante. In may 2003 we formed the original band during our first university years; now it's two of us and we've been a duo since 2009. The work era started after the studies and that changed a lot. We soon got bored of covering songs by others and started writing our own material, from a rock/blues root slowly evolving into more alternative/indie rock sounds. In the recent years we included electro and prog rock ideas. So in brief at first part of our influences were the Doors, the Pink Floyd, the U2, the AC/DC, Stevie Ray Vaughan; while now... we don't even now clearly, but synthesizers, digital drums and sound effect are often in the mix! Lasser matters by The Radio Dept. Although our own library of musical worship goes way beyond these, that are mainly chapters of our growth as listeners. We used to feel something for it years and years ago, it was even rewarding back then (emotionally, we mean), but it's been a while and don't even remember much about it. From our second album on we decided to remain in the studio environment, where actual sound detail comes from without being invalidated by the live scene itself and where the original musical idea is actually respected and preserved the way we'd like it to be. Nowadays listeners habits have radically changed and migrated ahead; lots of people can still be reached via the internet, so is performing live now really worth the major effort it takes? Don't know really. Q. How do you describe GLEAM sounds? We love clean guitars and delays, virtuous drums and complex chord sequences, we love overdriven synths and just hate plain pop structures. We want every single piece of it to be well balanced, but to go through more and more different phases, often out of place or contradicting the style of the previous movement, with as many variations as sustainable by the story itself. If it was possible, we'd let each song grow longer and longer in the hope it never ends. It's made of various phases and a lot of redoing is envolved, voluntarily. Revising helps producing something possibly unheard. Then there's the studio and that is challenging. Time is a key factor. But whatever the effort or the final result, at the end we're likely going to party. All we know is that the good ones are probably unnoticed by the promotion industry. Lately we were impressed by Bosnian Rainbows, Black Angels, The Suppliers and some others. Tough question; whatever seems impossible to reproduce by us or raises instinctive contrast is interesting. Ennio Morricone or Vangelis, to start with something just divine and inimitable that does demands lots of restudy and new arrangements. Another one might be a shoegaze version of some notable rock song as “Heart of the sunrise” by Yes or a heavy version of “Sound of silence” by Simon and Garfunkler. And why not some Lucio Dalla (if only we had the vocal skills to interpret that!) and on with a modern digital version of “Waiting for the sun” by Ray and Jim. And one day, we'll cover our own songs from our first album too; you know, to relive those days. Of course, now it's just about time for a second chapter of our beloved Zeroland album; five new songs, five new stories to narrate our obsession for memories. And some politics in it too, let’s get our words and intents a little bit dirtier this time, it’s a moment of great need for economic revolt. 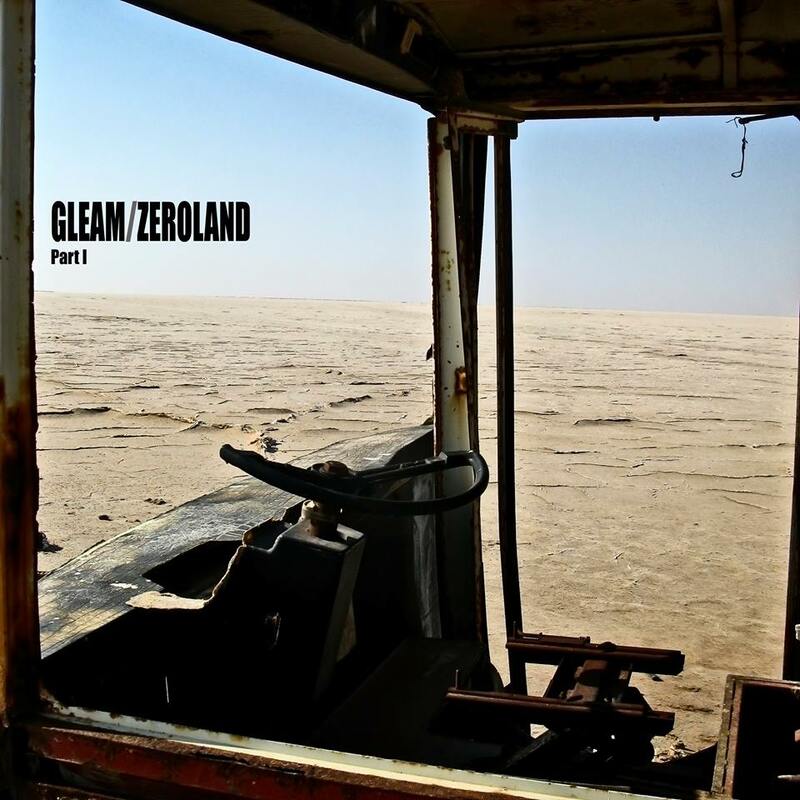 Why don't you all go check out our "Zeroland part 1" album on music.gleamstation.com, just experience it, possibly lazily; feel free to let us know if in your own way you know what we're talking about and you're wandering too through our same old unforgivable Zeroland. "The unveiled prejudice no longer chains and the new gleam springs to our eyes”.